Catalogue > Cities: maps and sights of cities and villages > 5. Utrecht > MIJDRECHT. 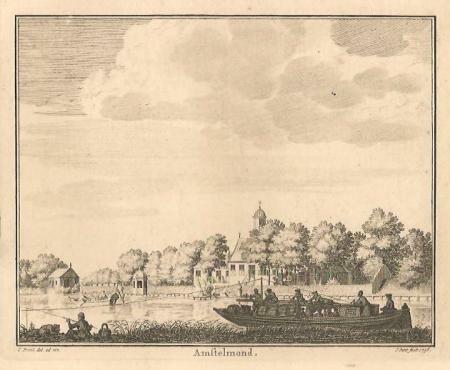 Amstelmond. Kopergravure door J. Punt, 1736. Tekenaar: Cornelis Pronk. Hoogte 12 cm; breedte 15 cm.